When Julie asked me to write a guest post as part of the series, I wasn’t sure that I was the right person. It’s not my area of expertise, and I don’t intend to suggest in writing this that I have any sort of training in psychology. When I thought about it a bit more, I decided that I could approach it from the point of view of language because this is one of my key areas of interest. Language is a very powerful tool. As parents, we need to be especially careful about how we wield it. Anyone who has ever visited my blog will know I love all sorts of picture books. It’s a bit of an obsession. However, there’s a classic picture book that I loved as a child that I refuse to read to my own children. What disturbs me about this line, other than the fact that lettuce, tomato and cheese are relegated to “diet food” rather than just being normal food that you would eat everyday, is the casual way the diet is mentioned. It implies that this Mummy character has been on diets before and it is no strange thing. It requires no more mention or context. Mummy is on a diet. Obviously. 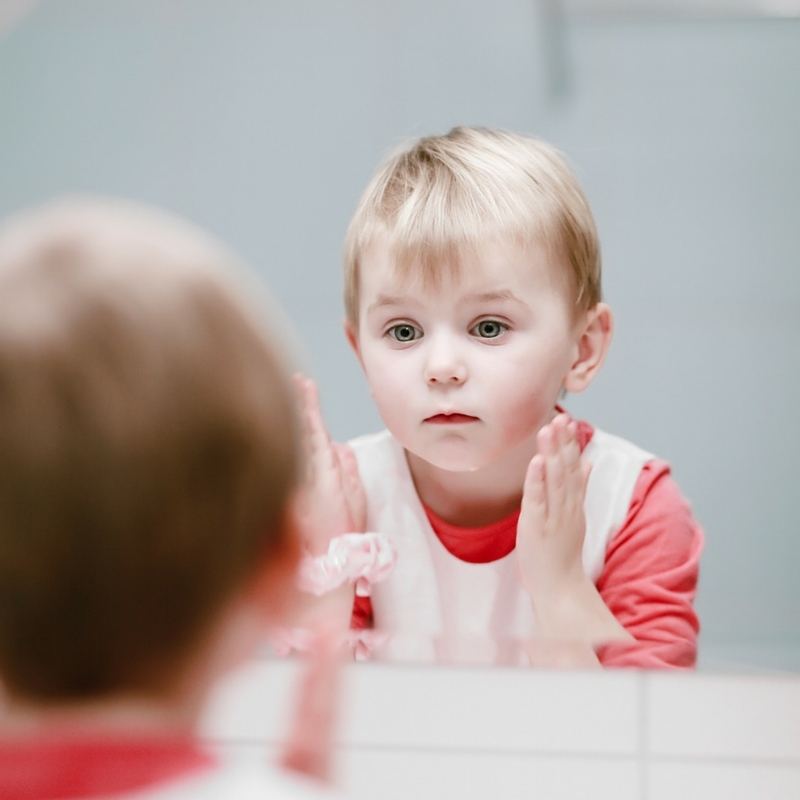 The language that we choose and use can have a profound impact on our children and their own developing body image. Let’s try to make it a positive impact! Try to think of ways that you can educate your child about making healthy choices without labelling food as “good” or “bad”. If you do choose to use those words consider what they mean to your child. In what other contexts do you use those words? Bad manners. Big bad wolf. Bad food. Bad girl. Bad boy. Kids are still trying to make sense of language. If you use words that are tied to particular judgements or emotions to describe food, you are potentially tying the food to those emotions too. I ate too much cake at that party. Cake is a bad food. I am bad. This is clearly problematic. On the flip side, if you tie “good food” to moral virtue you are creating a similar problem, not least because if your child does accept this teaching and eats only the good foods their whole life, they may turn into an irritatingly self-righteous adult who posts several-a-day Instagram updates about their kale smoothies. But, more dangerously, if they stray from the good food path, they may again internalise those messages and view themselves as being not good. This leads me to my next point, which is more directly Talking About Your Child. When I took Pickles in for his routine 18 month checkup, the nurse told me that he was too skinny for his age. She gave me a horrifying pamphlet in which the causes of his “failure to thrive” were likely to be parental neglect, poverty, or some sort of medical condition. Se told me to put him on a high fat, high calorie diet, with no more direction than that. Eventually, after a couple of weeks of stress, we got in to see a specialist paediatrician who did thorough developmental testing and said he was at least at the right level in all areas, and well ahead in most. He said it was clear from the moment that Pickles walked in the door that he was a bright, healthy, active kid and that the best advice he could give was never to go back to that nurse again. I was relieved. Yet, somehow, something had shifted. Suddenly he was talked about as the skinny kid; the kid who needed to be fattened up. Despite my efforts not to use these types of labels, perhaps because my attention had been so stressfully drawn to it, I now noticed how many people commented on his size in front of him. He’s not too bothered about it at this stage in his life. Mostly because it means people are more generous with treats. What concerns me is that as his identity forms, that is becoming a part of it at such a young age. My name is Pickles. I love running and jumping and digging in the garden. I love books and dinosaurs and trucks and singing and dancing. I am helpful. I am thoughtful. I am a big brother. I am a skinny kid. I shouldn’t be so skinny. In a similar way, I’ve often heard people talking in an offhanded way about children as chubby or even fat. Generally it is said in an affectionate way – look at those chubby little cheeks, I just want to squeeze them – but kids are sponges, absorbing it all. I’m not suggesting we cease talking like this at all, but I do think we need to be more careful about the language we are using. Research has shown even pre-school age children expressing dissatisfaction with their bodies. We need to be really conscious of the seemingly innocuous comments we make about our children. And about ourselves, which brings me to my final point. At this time of year we are bombarded with advertising about the New Years Resolutions you should adopt to make you a better you. And a better you inevitably is someone who looks different than the current you. I happen to think that a resolution to adopt a healthier lifestyle can often be a good thing. However, it comes back again to the language that we use and the motive. Think about the words you are using to describe yourself, and why. Do you really think losing a bit of weight, or bulking up, will make you a better person? When you talk about yourself in negative terms, your child is likely to take all of that onboard. They will accept it as normal. They too will think that there is virtue in a particular image. If they don’t meet that image, they may get trapped in a similar cycle of negativity. I wrote a poem about this point, which I wanted to share to finish off this post. But before I go, I want to wish you all a happy new year, and to thank Julie for inviting me to be part of this series. I look forward to reading the other posts. Who’s quite a lot like you. Your sense of humour too. And when your back was turned. And how to move about. Those inner shades of doubt. Or if she’s good enough? Comes all that kind of stuff. Is also said of her. And those who speak untrue. The barbs that come from you. Your eyes, your smile, your hair. I love your thought processes. Rhyming with wine recently posted…Winning at dinner with a picky toddler. mackenzie glanville recently posted…A new stroke of colour to my canvas of life.